Our October 2015 Artifact of the Month is a circa 1900-1902 Spalding No. 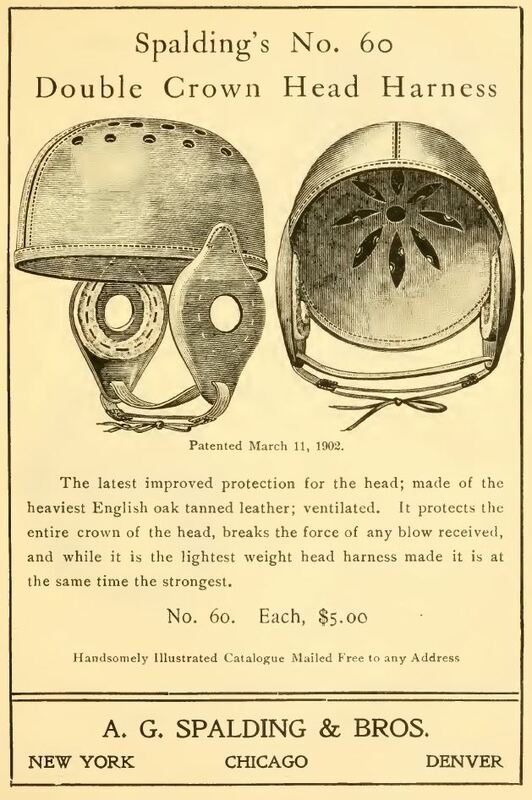 60 Double Crown Head Harness. 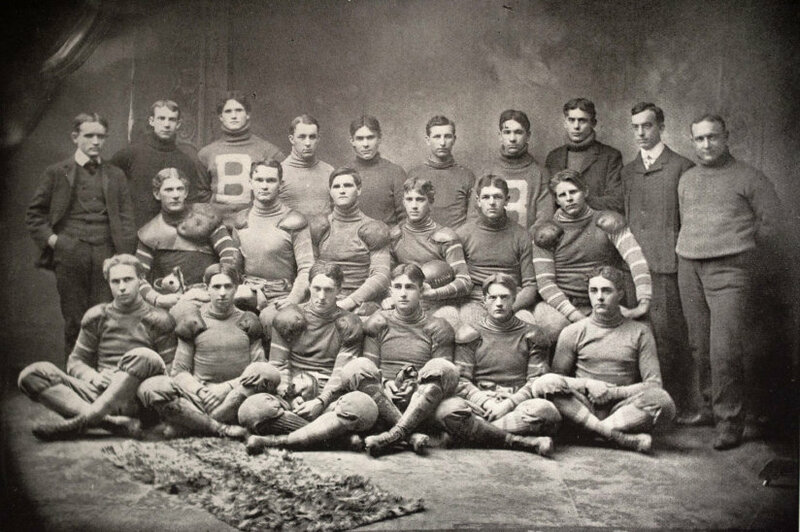 This example was owned by Harry Mason, the journeyman professional football player who played in the 1902 World Series of Football in Madison Square Garden, and is currently housed in the archives at the Pro Football Hall of Fame in Canton, Ohio. 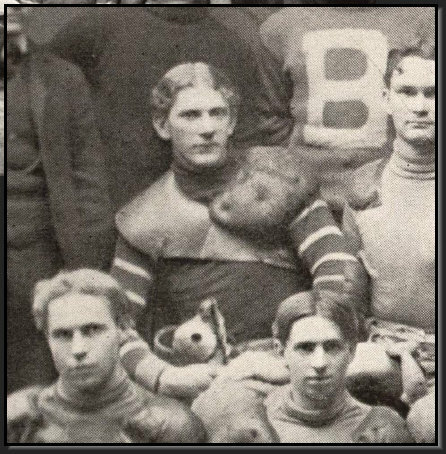 Last month we speculated that Harry likely wore this head harness while playing for the "World Champion" Syracuse Athletic Association in the 1902 World Series. The No. 60 shows significant game wear, along with cracking and checking of the leather. Both of the ear flaps have been separated from the helmet, which is not uncommon on improved head harnesses. 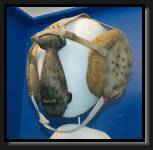 One of the ear flaps remains in the possession of the Hall of Fame. 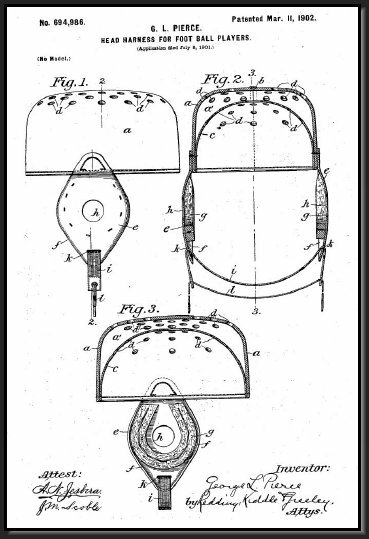 The object of this invention is to provide an improved head-harness or head-protector for foot-ball players which may be worn without discomfort and shall effectually protect the head and the ears against injury by blows or otherwise. 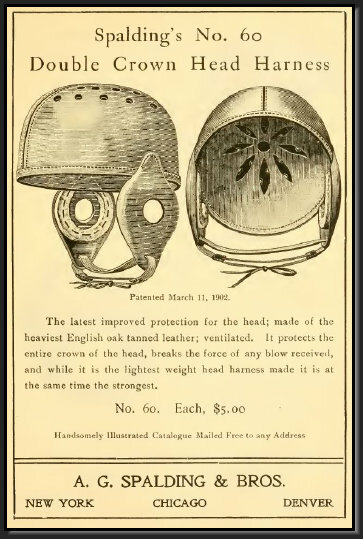 In accordance with the invention the cover for the head comprises two shells of different depth which are secured together at or near their edges, the outer shell being of relatively hard and tough material and separated, except at its edges, from the inner shell, which may be of relatively softer material and adapted to fit upon the head of the wearer.